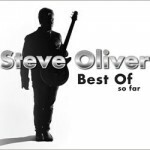 It’s hard to believe that it has been 15 years since Steve Oliver released his debut solo album First View in 1999. Positive Energy followed and featured “High Noon,” the first in a series of chart topping hits. 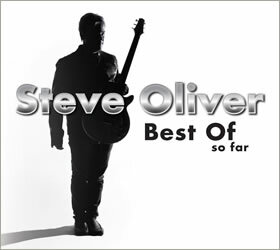 During those 15 years the music industry has completely changed and musicians in the contemporary/smooth realm have had the safety nets of airplay and record company support yanked out from under them but artistry thrives and Oliver has released eight albums during the period as well as producing, writing, and playing on numerous other artists’ projects. Best Of – So Far is the optimistic title of his first retrospective. A collection of 15 chart hits and fan favorites that includes two new songs and new versions of two tracks from First View. The official release date is June 3 but it is available for pre-order from Oliver’s website, Amazon.com and iTunes. Oliver will autograph this and any other CDs that are ordered from his website. Here’s a preview video to get you psyched up.